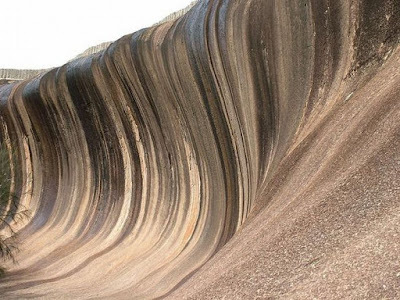 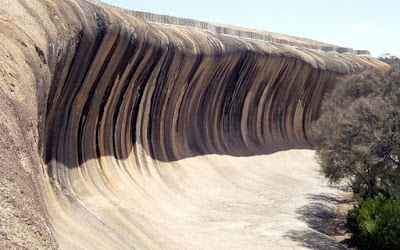 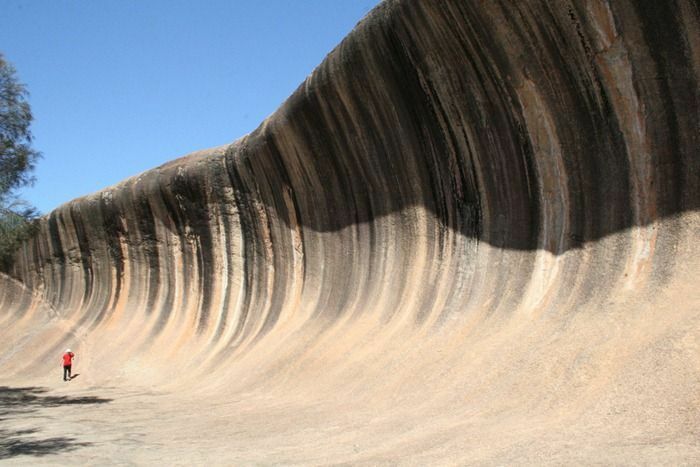 This interesting natural rock is called Wave Rock and located to the east of the town of Hyden in Western Australia. It got its name from the fact that it is shaped like a tall breaking ocean wave. 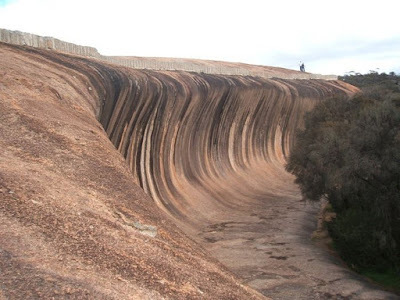 The rock formation is composed of granite and the total outcrop covers several hectares. 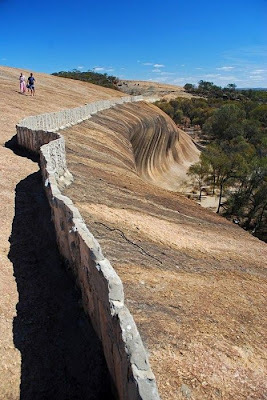 The rock is about 15 meters high and approximately 110 meters long.